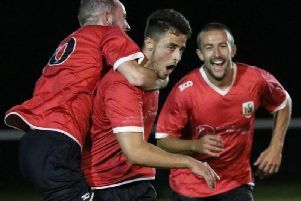 Strikes from Ben Cohen and Colin Heath fired Knaresborough Town to a 2-0 victory over Ashington in the extra preliminary round of the FA Cup. 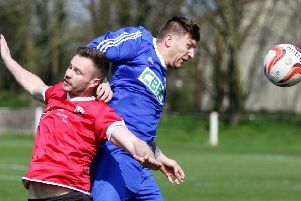 Trips to tackle Northern League Division One opponents are notoriously difficult, but a goal in each half sealed the men from Manse Lane's progress on Saturday afternoon. The opening 25 minutes were fairly even, though it was Boro who looked to carry the greater threat and both Brad Walker and Cohen forced saves from Ashington goalkeeper Conor Grant, while Walker was also off-target with a couple of efforts. Then, just a minute before the interval, Boro moved in front, Cohen finishing off after Heath's strike was parried into his path by Grant. Paul Stansfield's team continued to look the more likely after the resumption and their lead was doubled with 56 minutes on the clock following a swift break by Walker. He found Cohen, who in turn sent Heath in on goal and the visiting striker beat Grant one-on-one. Ashington threatened to get themselves back in the contest shortly afterwards, but the ball was nodded over the cross-bar having been headed into a dangerous area from a corner. Rob Youhill had the chance to make absolutely sure of the result just after the hour-mark, however he was thwarted by Grant having raced clear of the home defence. Boro had already done enough, however, and were able to see out the remainder of the game without too many problems.